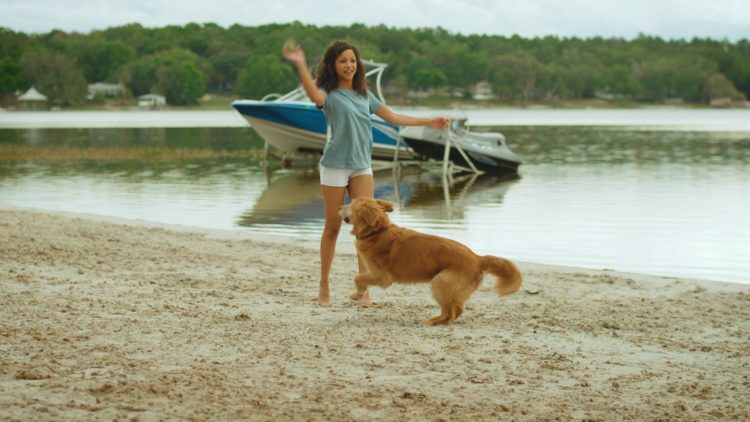 When your dog is a puppy, they have boundless energy and need never-ending exercise as they grow into themselves and adapt to the world around them. They are always on the go and can be exhausting and frustrating. But holy cow, what fun, too! That’s why it’s all the more obvious and heartbreaking once you notice them slowing down and forgetting how to do certain things like play fetch, or where certain rooms are in the house. It’s emotional to watch your once-vibrant puppy now struggle with the signs of aging and all that comes with it. I have three senior dogs who have been with me since puppyhood. It’s hard watching them struggle with age. A company called Astro Biosciences sent us a sample of their new product, AstroSmart ™ Canine Cognitive Smart Chews. They are designed to support brain function, cognitive focus and mental performance in dogs. 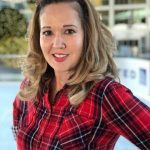 I thought the idea was intriguing: could this really work? 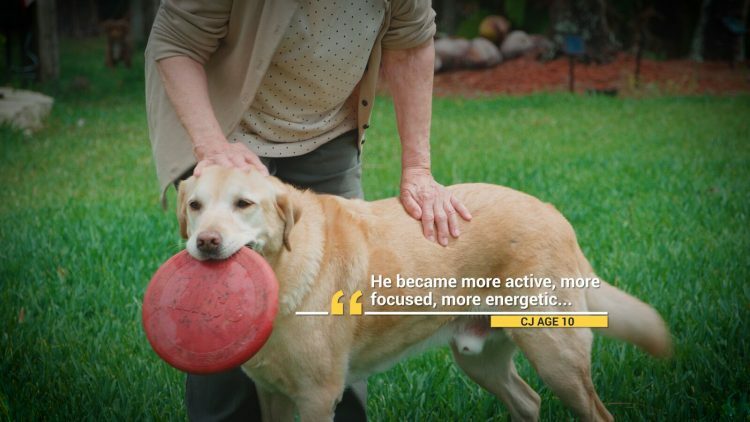 Could these chews actually help our senior pups feel young again? According to the many testimonials on their site, apparently, they can. 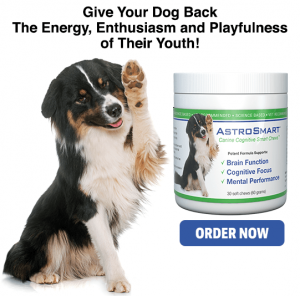 AstroSmart ™ is the most powerful supplement to improve your dog’s cognitive performance based upon its proprietary blend. Rooted in science and nutrition, AstroSmart ™ Smart Chews are easy to digest and taste like a treat. They have only been taking it for a couple of days so the outcome remains to be seen, but I’m truly hoping that it works the way it’s worked on other dogs so far. I take vitamins every single day to support various things in my own body, so it seems logical I should be doing the same for our furry family members. 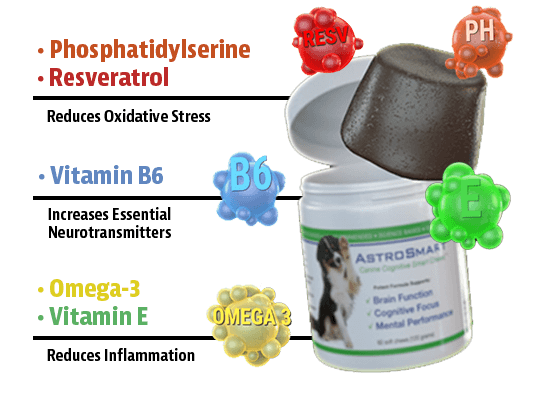 AstroSmart ™ Smart Chews are available in a 30 or 60 count bottle and may be purchased at BuyAstroSmart.com and Amazon.com. Would you try a chew for your dog to help their brain health?